Now one can share Documents like PDF, Doc, PPT Xls directly via WhatsApp 2.12.500 and above versions! These are not the only format supported! Now WhatsApp also allows to send zip files via its latest updated WhatsApp 2.12.500 on Android and iOS devices as well! Here we have the detailed video for the same describing features of Latest WhatsApp Update 2.12.500 on Android And iOS! If you have not got the latest version of WhatsApp, i.e WhatsApp 2.12.500 from PlayStore, then head over to the link here : Download Latest WhatsApp 2.12.500 (Android APK) and for iOS from here! And then simply install the Latest WhatsApp APK on android and WhatsApp 2.12.500 on iOS too! If you get an error while sending document saying your partner do not have the latest version! 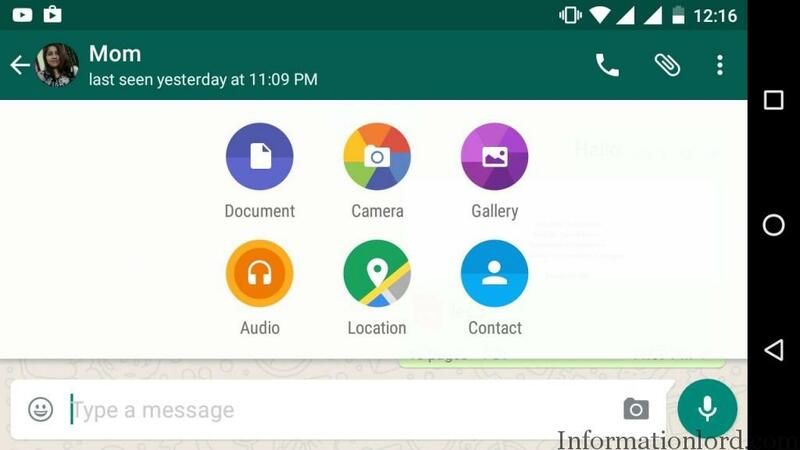 Then you can ask him to head over to this guide to install the latest version of WhatsApp and thereby you both can send Documents to each other without any problem! This will enable you to attach documents on WhatsApp thereafter! Struck anywhere, then feel free to comment! Do subscribe to the site for many other important tech updates and lots more!